California based brand SPY Optics™ have just released two snowboard goggles designed in collaboration with two internationally-exhibited artists for their 2011/12 Winter goggle collection. 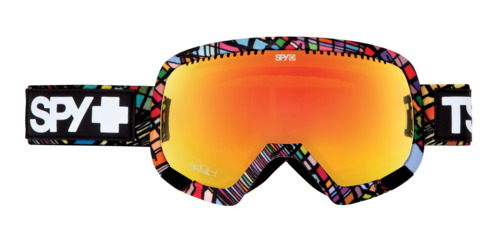 The SPY®+ TSL + PUSH Platoon™ snow goggle advances a gallery painting by The Seventh Letter street-artist Push on a rugged, high-performance goggle frame. 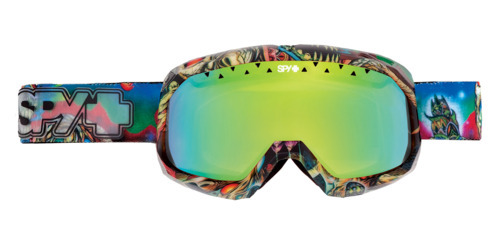 The SPY®+ TSL + PUSH Platoon™ snow goggle features a free bonus lens, oversized, flexible frame conforms to any face for a comfortable fit, patented Scoop® ventilation system to combat lens fogging, 5.5-Base ARC® spherical dual lens with anti-fog & anti-scratch protection, triple Layer Isotron™ face foam featuring moisture-wicking Dri-Force™ fleece, dual-adjustment, silicone-ribbed strap, and as always 100% UV protection!